The branch is urging all members to come along and march with us under our branch banner on Saturday 4th May at the 2019 May Day March and Rally to celebrate International Workers’ Day. 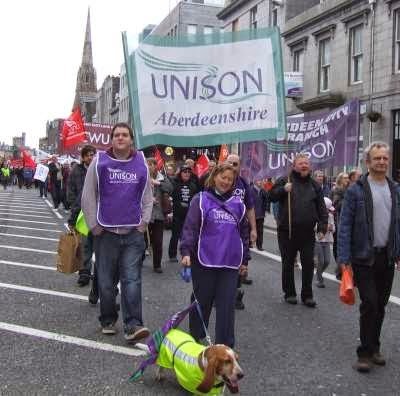 As always the Aberdeen event is organised by Aberdeen Trades Union Council. Please gather at Rubislaw Terrace at 11.00am, to march off at 11.30am down Union Street. A rally will be held in the Castlegate from 12.15pm. Trade Unions, Community Groups, friends and families are all welcome. Please come and join us.